RALEIGH, N.C. - The first day of play at the Central Intercollegiate Athletic Association Softball Championship featured intense competition among eight teams. After eight games over the course of the morning and afternoon, six teams live to see another day at Walnut Creek Softball Complex. In the first round of play on Thursday, Bowie State jumped to a 5-0 lead in the top of the first inning against Saint Augustine’s with Nicoleen Ochoa’s RBI bunt single, Jacqueline Pickering’s two-run double and Deanna Matlock’s two-run single. Marley Parker’s three-run homerun gave the Lady Falcons an offensive spark. Saint Augustine’s continued the momentum in the bottom of the second with five runs off seven hits capped by Jasmine Rios’ two-run homerun. The Lady Falcons added one run in the fourth, fifth and sixth to pull away 11-5. The Lady Bulldogs added one run in the top of the seventh following a solo homerun by Cassandra Clayborne, but it was not enough to overcome the deficit. In elimination play, Bowie State (14-18) wasted little time in the morning contest against Fayetteville State University. The Lady Bulldogs took advantage of Danielle Watt’s RBI double and a Lady Bronco error in the top of the first to take an early 2-0 lead. Pickering’s sacrifice fly in the top of the third pushed Bowie State ahead 3-0. Fayetteville State (16-14) plated two runs in their final at-bat, one with ­­­Ivory Gladden's fielder's choice and another on Alex Wickham's RBI single through the right side. Fortunately for Bowie State, Ochoa got FSU’s Brittany Freeman to pop out to end the game and the Lady Broncos season. Clayborne and Ochoa led Bowie State overall over the two games, pounding out five hits each and scored a combined five runs. Watt accounted for four hits while Matlock and junior Caitlin O’Neill recorded three hits apiece. Chowan University and Saint Augustine’s University both secured a spot in semifinal play on Friday while four teams will battle for two remaining semifinal slots. Winston-Salem State University and Virginia Union University will compete for a spot in Friday’s (5/1) semifinals at 10:00am. Virginia State University and Bowie State University will also battle to secure a spot in the semifinals in a Friday (5/1) 10:00 am contest, weather permitting. Do Not Blow Your Top! If this were possible it would give you up to ten years or more to strangle the beast (metaphorically speaking, of course) -- long before conventional tests would ever be able to detect it. Tell us your best travel tip for a chance to WIN 5 nights in Cabo San Lucas!! Find New Clearance and Rollback Deals Now Live at Walmart.com! Low Prices on Electronics Just Got Lower at Walmart.com! 20% Off Select Summer Casual Styles at StacyAdams.com with code LNKSR15. Valid 4/28-5/4. Salt Lake City Super, June 27, 2015, Sign Up Now! BOWIE, Md. 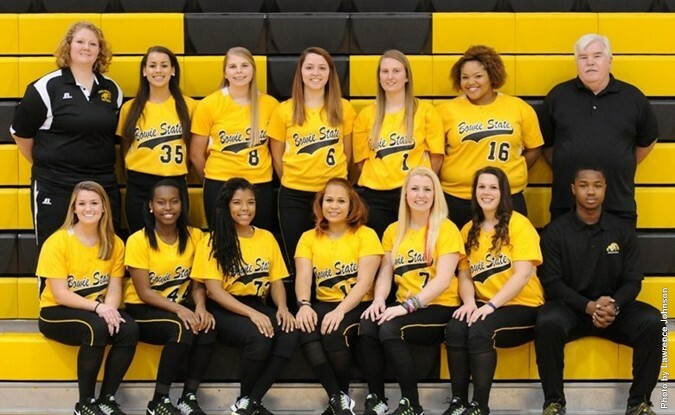 - The Bowie State University softball team earned two hard fought CIAA Northern Division wins against visiting Elizabeth City State University, edging the Lady Vikings 9-8 and 7-6 on Saturday afternoon. With the wins, the Lady Bulldogs (13-15, 9-5 CIAA, 6-2 North) move into second place in the division. Freshman Nicoleen Ochoa (Madison, Ohio) led Bowie State with five hits on the afternoon, including the game winner in game one. Sophomore Hailey Bethke (Havre de Grace, Md.) added four hits and four runs for the Lady Bulldogs in the doubleheader sweep. Elizabeth City State (2-26, 2-12 CIAA, 0-8 North) was led by Haley Williams (Askewville, N.C.) with team-highs of four hits and four runs in the losses. One of Williams’ hits was a two-run homerun in game one. Kiyana Merritt (San Francisco, Calif.) contributed four hits as well and scored three runs. ECSU’s Williams tallied three hits in the opening game, while Merritt, Diamond Davis (Roper, N.C.) and Rachel Gilliken (Camden, N.C.) recorded two hits each. Overall, the Lady Vikings had 14 hits in the 9-8 opening game loss. The Bowie State foursome of Ochoa, freshmen Emily Lewis (Aberdeen, Md.) and Hannah Willis (St. Leonard, Md.) and junior Deanna Matlock (Pomona, Calif.) accounted for a pair of hits each in game one to lead the team. Ochoa, Bowie State’s starting pitcher, stroked a single through the right side of the Elizabeth City State defense in the bottom of the 7th inning, pushing Willis across the plate for the winning run. Game two of the doubleheader was just as exciting as game one. Bowie State held a 3-0 advantage after one inning only to have Elizabeth City State trim the Lady Bulldogs lead to 3-2 in the 2nd inning. Bowie State’s Lady Bulldogs held a 4-2 lead after two innings of play before Elizabeth City State took their first and only lead at 5-4 in the top of the 3rd inning. The Lady Bulldogs responded with one run in the bottom of the third to tie the game at 5-all. Each team went scoreless in the third, fourth and fifth innings. Merritt hit a leadoff single in the top of the 7th inning and later scored to put Elizabeth City State in front by a score of 6-5. Bowie State’s Lewis opened the bottom of the 7th with a pop up to the ECSU shortstop for the first out. Freshman Jacqueline Pickering (Bowie, Md.) stepped up a drilled a double to left center and Bethke followed with a single, scoring Pickering and tying the game at 6-all. Willis hit a single to third advancing Bethke to second. Matlock flew out to center for the second out of the critical 7th inning. Senior Cassandra Clayborne (Damascus, Md.) laced a double to right center, pushing Bethke across the dish to give Lady Bulldogs the thrilling 7-6 victory in game two. Bowie State pounded out a season-high 18 hits in the nightcap compared to nine for Elizabeth City State. Clayborne, Ochoa and Bethke had three hits each in game two to lead the Lady Bulldogs. Caitlin O’Neill (Elkton, Md.) went the distance in the circle in game two, striking out six. The Lady Bulldogs will host the division leading Hawks of Chowan University on Sunday (April 26th) beginning at 1 pm, weather permitting. Longtime Big Train historian and volunteer Bill Hickman has done a great job of keeping up to date with all the Big Train alums who are playing professional baseball around the county. Mike McKenry (BT 2004), featured above, is one of the alums that is in the MLB and seeing a lot of playing time for the Colorado Rockies. Below you will find recent information and stat lines from every former Big Train player that is playing professional baseball. Martin Agosta, RHP (BT 2011) San Jose Giants (California Lg. - Hi A) 1-1, 9.00 ERA in 4 games. Cody Allen, RHP (BT 2008 & 2010) Cleveland Indians (American League - MLB) 0-2, 3 saves, 14.40 ERA in 6 games. Serves as the team's closer. Matt Bowman, RHP (BT 2010-11-12) Las Vegas 51's (PCL - AAA) 0-3, 10.93 ERA in 3 games. Mike Costanzo, 3B (BT 2003) Camden Riversharks (Atlantic Lg. - IND) Season begins April 24. 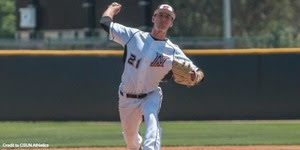 Ryan Doran, RHP (BT 2012) Visalia Rawhide (California Lg. - Hi A) 1-0, 4.91 ERA in 2 games. Brian Dozier, 2B (BT 2006) Minnesota Twins (American Lg. - MLB) .214, 12 hits, 1 HR, 4 RBI in 15 games. Chris Duffy, 1B (BT 2007) Ottawa Champions (Canadian-American Lg. - IND) Season begins May 22. Nate Fury, RHP (BT 2010) Lakeland Flying Tigers (Florida State Lg. - Hi A) no record yet. Ryan Garton, RHP (BT 2011) In extended spring training with the Tampa Bay Rays. T. J. Hose, RHP (BT 2004) Camden Riversharks (Atlantic Lg. - IND) Season begins April 24. Alex Hudak, OF (BT 2011) Camden Riversharks (Atlantic Lg. - IND) Season begins April 24. Matt Long, OF (BT 2006) Colorado Springs SkySox (Pacific Coast Lg. - AAA) .277, 13 hits, 5 RBI in 12 games. Joe Mantiply, LHP (BT 2010) Erie SeaWolves (Eastern Lg. - AA) 0-1, 1.93 ERA in 4 games. 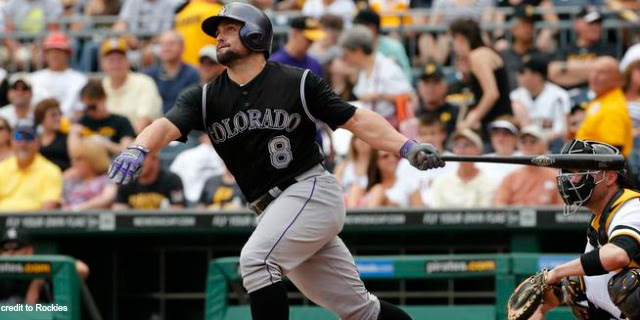 Michael McKenry, C (BT 2004) Colorado Rockies (NL - MLB) .294, 5 hits in 7 games. Brennan Middleton, SS (BT 2010-12) Hagerstown Suns (So. Atlantic Lg. - Lo A) .174, 5 hits, 5 RBI in 7 games. Mason Morioka, C (BT 2009-10-11) Rockford Aviators (Frontier Lg. - IND) Season begins May 15. Jimmy Reed, LHP (BT 2010) Palm Beach Cardinals (Florida State Lg. - Hi A) 1-0, 2.84 ERA in 2 games. Hunter Renfroe, OF (BT 2011-12) San Antonio Missions (Texas Lg. - AA) .133, 6 hits, 1 HR, 1 RBI in 11 games. Kelly Secrest, LHP (BT 2011-12) St. Lucie Mets (Fla. State Lg. - Hi A) 1-0, 2.45 ERA in 3 games. Danny Stienstra, 1B (BT 2008-09-10) Amarillo Thunderheads (American Association - IND) Season begins May 21. Justin Wright, LHP (BT 2008) Springfield Cardinals (Texas Lg.- AA) 1-0, 6.23 ERA in 5 games. This week of college baseball featured some good outings from Big Train players including walk-off hits, good pitching, and solid overall performances. BOWIE, Md. - The Bowie State University Bulldogs football team look to showcase their hard work they have been putting in during the off-season this Friday (April 24th) at the Spring Game (Controlled Scrimmage). The event will be held at Bulldogs Stadium and get underway at 7:30 p.m. This event will be free to the public and all media are welcome. The Bulldogs, under the direction of 7th year head coach Damon Wilson, will return 37 lettermen which include 20 starters. Bowie State finished 5-5 overall, 5-2 in the conference and 4-1 in the Northern Division last season. Prior to the spring game, there will be a special football alumni flag football game beginning at 6 pm. Get Yourself a Ticket To The Faith Zone! BALTIMORE – Coppin State sophomore sprinter Alexis Marsh was selected to attend the Career in Sports Forum to be held at the NCAA national office in Indianapolis from June 4-7. The Career in Sports Forum, an annual educational forum hosted by the NCAA, brings together 200 selected student-athletes to learn and explore potential careers in sports, with the primary focus on intercollegiate athletics. The unique, four-day forum is designed to assist student-athletes in charting their career paths, as well as provide an opportunity to network and learn from current athletics professionals. Marsh is a key member of the Coppin State women’s track and field program. The Ajax, Ontario, Canada native has run on the Eagles’ 4 x 400-meter relay teams, earning All-MEAC honors this past indoor season in the event. The Eagles relay team finished second at the MEAC Championships. During the indoor season, Marsh helped the 4 x 400-meter relay team finish sixth at the ECAC Championship meet. The Eagles' time of 3:45.13 was the third fastest time in the indoor 4 x 4 in Coppin State history. Currently this outdoor season, the Eagles 4 x 400-meter relay team has the second fastest time in the event of 3:43.47. Known for her consistently changing hairstyles, sparkling smile and pleasant personality, Marsh is looking forward to the opportunity to network with peers, exchange ideas with key NCAA leaders as well as spend a little time in the Midwest. Improve Your Hopz With This Exciting Tool! Steroids and HGH Worth It? I'm sure you've heard plenty about the vaccine controversy. Critics have challenged the effectiveness of vaccines and highlighted their dangers for years. Their work shows that a tetanus shot can boost survival rates among people battling a type of brain cancer that’s been considered a sure death sentence until now. Keep reading, it’s a remarkable story. . . .
No not the Prosperity Gospel, The Gospel Period. BOWIE, Md. - Bowie State University softball (11-15, 7-5 CIAA, 4-2 North) showed no signs of rust after a seven-day layoff, roughing up visiting Lincoln University 10-0 and 19-3 in CIAA Northern Division action on a gorgeous Saturday afternoon. Sophomore Hailey Bethke (Havre de Grace, Md.) paced the Lady Bulldogs with five hits while junior Danielle Watt (St. Leonard, Md.) and freshman Nicoleen Ochoa (Madison, Ohio) added four hits each of the two-game sweep. Watt recorded a game-high five RBI and Bethke along with Ochoa and junior Caitlin O’Neill contributed four RBI each. The Lady Bulldogs tallied eight hits in game one and pounded out a season-high 17 hits in game two. Ochoa and Bethke led the home team with a pair of hits in the opener. Ochoa went the distance in the circle in game one allowing just three hits over five innings, striking out seven. Lincoln (0-22, 0-12 CIAA, 0-6 North) took an early 2-0 lead in the top of the 1st inning of the nightcap only to see Bowie State score five in their share of the inning. The BSU Lady Bulldogs added two runs in the bottom of the second and exploded for seven runs in the bottom of the third inning for a 14-3 advantage. Lincoln’s Toni Smith (New Castle, Del.) belted a solo homerun (her first of the season) in the top of the 4th inning, but that would be all for the Lady Lions. Bowie State pushed five across the dish on seven hits in the bottom of the 4th inning to put the exclamation point on the game. Danielle Owes (Edgewater Park, N.J.) suffered the loss for the Lady Lions in game two while Bowie State O’Neill earned the victory which included four strikeouts. Watt, Bethke and freshman Jacqueline Pickering (Bowie, Md.) led Bowie State with three hits apiece in the nightcap and each tallied three RBI. Smith and Emily Woodruff (San Diego, Calif.) led Lincoln with a pair of hits over the two-game setback. As a team, the Lady Lions managed only seven hits in the doubleheader. Bowie State will have another extended break before returning to action on Saturday (April 25th), hosting Elizabeth City State in a doubleheader beginning at 1 pm. When in Rome Find Grace? Does “Nature’s Perfect Food” cause cancer? Is This 'Nature's Perfect Food' or a Banquet for Hormone-Related Cancers? As she states in her book Your Life in Your Hands, "Having no alternative but to die or find a way out myself, I decided to find a way out. 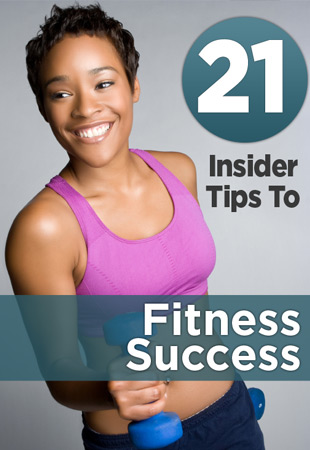 I determined to take control of my situation using my training as a natural scientist." 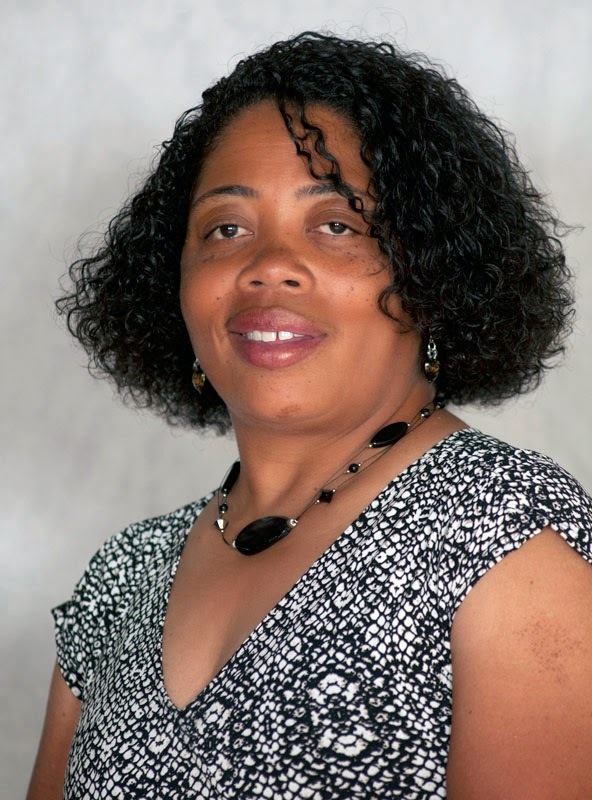 This was her way out. . . .
HAMPTON, Va. - Bowie State University head track and field coach Michelle Latimer has been selected CIAA Men's Coach of the Week. Bulldog athletes took 1st place, 5th and 6th in the 5000m; 2nd and 4th in the shot put; 3rd place in the 800m; 5th & 10th in the 1500m; 7th in the 4X400m relay and closed out the week with a 6th place finish in the high jump; 7th in the triple jump and 3rd in the javelin. BALTIMORE – Coppin State University junior high jumper Deandra Daniel was named the Corvias Eastern Collegiate Athletic Conference (ECAC) Division I South Outdoor Track and Field Athlete of the Week. Warning! Satan Does Not Want You To Watch This.